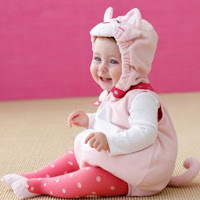 Pink Kitty Costume. 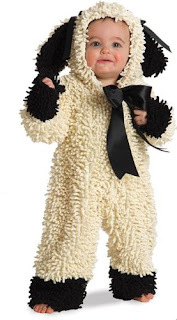 Lamb Toddler/Infant costume. Little Flower costume. All three of these costumes are simply adorable but I am in LOVE with that lamb costume. How can a baby costume actually look chic?! 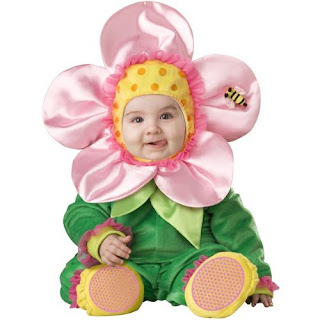 And I obsessed about the flower costume too...My little Genevieve would look so cute peeking out from those petals. The kitty costume is cute but even better? $11! Can't beat that! 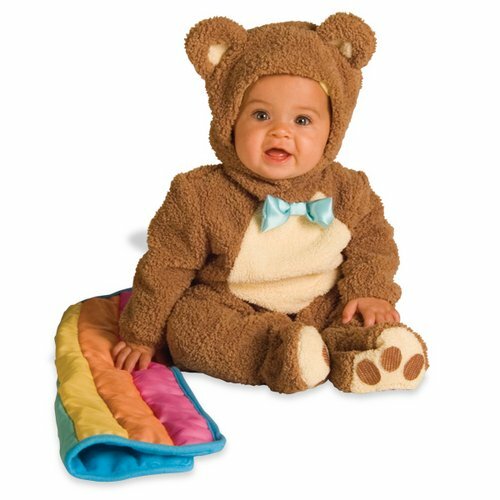 Oatmeal Bear costume. Peter Pan costume. Little Monkey costume. Here are some of my little boy faves. Can you imagine your little honey all wrapped up in this cozy bear costume? 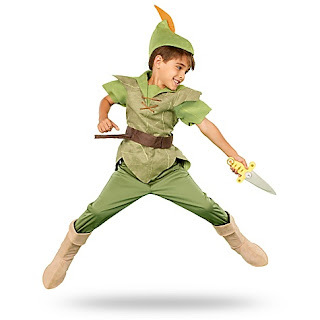 The Peter Pan costume is sure to please mom and little boy. It's whimsical while being adventurous. 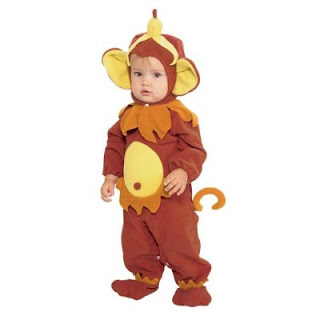 And just look at that banana atop the little monkey's head! Need I say more? Have a fun and safe Halloween and feel free to post the link to your little one's costume! !